Who Moved My Referrals? A Must Ask For Every Sales Cycle! - Bottom Line Underwriters, Inc. Imagine for a moment . . . placing the same amount of emphasis on referrals as the other significant items of our sales process. Where could this take you? To help gain clients and sales, our personal sales marketing plans might already use some combination of: advertising, seminars, lead generation, cold calls, personal and professional networking, etc. RARELY do I see sales people using “referrals” as a main part of their sales marketing plan. When was the last time a salesperson asked you for a referral? When was the last time you asked your client for specific names and contact information of people they know who could benefit from your product or service? Do you or does your company have a specific “method of operation” to follow as it relates to referrals? Are you too shy to ask? Is your self esteem such that it troubles you to ask? Almost each and every day I see examples of this unfortunate mindset with my own sales coaching students or at the companies for which I consult. RARELY even do my own clients ask me for referrals. Melody Mayer, the COO of Lime Trucks (www.limetruck.com) and a client of mine, asked the question . . .“Chuck, which of your clients would benefit . . .?” As I pondered her request for referrals (again, a request I normally don’t receive, even from my own clients), it struck me that her service could positively impact many of my clients. We ended up scheduling TWO separate hour-long phone appointments to cover all the information that fulfilled her request. But just as importantly, Melody did two things: not only did she ask me the question, but she had also EARNED the right to do so. I could trust my clients to Melody – she had earned that trust through her credentials and her manner of professionalism. I gave her a green light to use my name as the referral source. Consider the implications of that single question . . . “Who do you know that could benefit from my product or service?” Additional names were added to Melody’s database; she had new prospects to contact, yielding an increase in her business. Take it a step further: what if she then earned the right to ask that question from each new contact that I gave her? Could you imagine the exponential growth of her opportunities database? HELLO! Recently one of my Executive Sales Clients sent me an e-mail asking about my thoughts on referrals. I felt his questions were the basis for a great discussion and learning environment and I wanted to share with you our communication. “I feel I need to tailor the type of referral according to the client I am speaking with – I don’t want to paint a picture of a 45-year old to someone who is 65, and vice versa. This is what I have come up with. I want feedback and additional ideas. Age – “My ideal client is ____.” The age will be similar to the client’s age. “My ideal client may have a 401(k) from a previous employer” either due to a job transition or retirement, based on who I am talking to. “My ideal client is in a professional position similar to yours.” (i.e. real estate agent, teacher, executive, etc.) Once again, based on who I am talking to. These questions are a great foundation for a good discussion. I have no clear cut answer of what will work for you specifically, yet I do want to share a couple of viewpoints and see if something will trigger for you that works. Earning the right to ask for referrals should be an ongoing strategy for any salesperson, regardless of industry. My personal belief is that it does not boil down to a set specific set of questions. 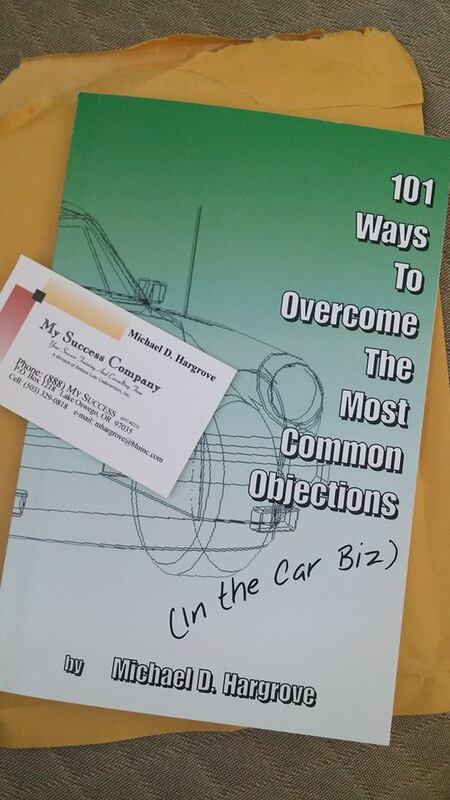 I do believe that a “set” method of operation needs to be in force at all times, whether you ask for the referral, as stated in your specific statements listed, or you make it a point to include the “ask for the referral” in all your marketing pieces, client communication, etc. All of these marketing methods fall under creating T.O.M.A. – Top of Mind Awareness: Does your client think of you when they are ready to enter your industry to make a purchase? My coaching suggestion would be: START today! Ask for referrals at every point of contact with each and every client AND potential client. As I have said, the sales industry consists of the 95%’ers and the 5%’ers. 95% of salespeople struggle and the other 5% are gaining traction every day by working smarter, making more money, AND doing it in less time. The 5%’ers are asking for referrals – ALL the time. Answer this question… When was the last time you were approached by a salesperson that asked YOU for a referral? How about this? When was the last time YOU asked for a referral? We, as salespeople, can certainly stand to make improvements in this part of our own personal sales process. Looking over the statements and questions from my Executive Sales Student, I see where he is going with this: lots of planning, lots of thought. He’s planning out the best way to leave his clients with a pre-emptive strike: to remind them to refer other prospects to him. He states: “If I ask for just anyone, anyone usually means no one.” Know this:“asking” one time is just part of the process. 5%’ers will always be asking, either in a direct or an indirect manner. “It seems that I need to tailor the picture to the individual client.” As I think about this statement, I wonder: is this a preconceived notion of his, based on his personality style and strengths? Think of the salespeople you buy from – would you want them to give you something tailored like this, to help you think of “specific” referrals? This line of thinking might pigeonhole him into something that works for his personality style, and in turn won’t work for others – namely, his clients. Here is another way to look at it. If he came across a “Socializer” client or one who has strong social skills, they would open up their entire database to him and not take a moment to concern themselves with the specifics that he might be looking for. This specific situation would certainly add numbers to his personal sales database. Then, he would implement the “80/20 rules of communication” as taught in the SalesMastery course. The 80/20 rule allows salespeople to handle large numbers of referrals & contacts in a time efficient manner. Do you earn the right to ask for referrals? Are you REALLY distinctive in your sales and communication processes with your clients? Do you build an impenetrable wall around your clients that makes them competitor-proof? Do you MAKE people want to do business with you? Would YOU do business with YOU? Always verbalize the question and ask it outright at the end of a call or appointment. Remember the Colombo close . . . as you’re walking out of the room and you reach for the door knob and you ask: “Oh . . . by the way, who do you know that might benefit . . .” Or, use this same question when you are about to conclude a sales call. Salespeople who build true intimacy with their clients can ask this question all day long. Salespeople who are lacking in the skills of building intimacy might find ways NOT to ask this question, because they are not truly connected with their clients. 1) On every piece of mail that you send to a client, include a Post-It note asking for a referral. 2) Hold a client appreciation get-together and perform a short speech telling your appreciation of your clients and asking for referrals. 3) Send very important clients a gift, like a pen and pencil set and dropping a special personalized note in the gift wrapping. 4) Just the other day, in Forth Worth, Texas, I asked 72 people for referrals at one time and I didn’t even open my mouth. My seminar evaluation form contains an indirect question asking for referrals. This specific event fostered over ten new referrals, equaling ten new additions to my database. In his book MEGATRENDS, John Naisbitt states “you can network the entire world just by knowing five people.” I believe it, do you? I actually have some former clients that call me when they need a specific contact in a specific city. Within that network as you proceed to build it, ask and continue to ask each person for referrals. If you don’t get tenacious about marketing yourself, who will? Don’t be embarrassed, get out there and let the world know what you do! Many times we look for that “perfect” environment in order to ask for a referral. There will never be a perfect situation – so be shameless and ask. No matter what! Each person, regardless of how you connected, should be entered into your database with full contact information including: e-mail address, date of birth and hobbies or passions. When you create lifelong positive relationships – you further earn the right to asking for referrals. When you consistently deliver more than expected, new clients are drawn to you and past clients are easily influenced to provide you referrals. But remember, you still have to ask for them, your clients are not looking into a crystal ball telling them that you would like a referral. Okay, you have read the article – now what? Are you going to let the information “sit” like a book in the bookcase collecting dust? Or, will you take my personal challenge which I bequeath to you? YOU must take part or all of this information and put it to use. Start implementing it today and you will be working smarter, making more, all the while having more time to enjoy it. © 2006 by Chuck Bauer. All rights reserved. Reprinted with permission. With over two decades of sales experience, Chuck Bauer is one of North America’s most experienced sales coaches, consultants and workshop leaders. Chuck consults to a large number of sales organizations and salespeople nationwide and is a member of the National Speakers Association. His information is widely published in many print and internet based publications. He is a committed body builder, private pilot and trophy bass hunter. Find out more about Chuck at www.chuckbauer.com.